How credible are you on social media? So, there you are, Tweeting away each day, saying what you want and getting loads of attention. But does anyone believe you? The chances are, much social media activity could be working against you, rather than for you. An interesting new study on social media credibility suggests that the things we might think are worthwhile, could be harming our online reputation. The researchers were looking at Twitter and which kind of accounts people believed more than others. The communication experts from Penn State University set up some fake Twitter accounts and Tweets on a medical subject – sexually transmitted diseases. Then, they tested those accounts on students – people who would be highly likely to want to know about the topic. They discovered that the Twitter accounts with the highest believability were those with several signals of “authority”. The Twitter accounts that showed the least believability were those that included several Retweets and which were not really focused. Essentially, what the study showed was that for this subject, at least, people mostly believed authority accounts that did little or no Retweeting. It appears that Retweeting reduces credibility. The most important finding, though, was the need to be recognised as an authority. Part of that seems to come from having a previously established brand and reputation. The study found that the most believed Twitter account was that of a recognised, independent, health organisation in the USA. This study appears to confirm work published over three years ago about popularity on Twitter. That study found that the most actively followed Twitter accounts were those that came from individuals and organisations who had an established offline brand. Similarly, another study which appeared in this blog post on getting more Twitter followers established that well-known accounts get more attention because they provide material that is shareable. Such Twitter accounts tend to do little sharing themselves, instead, what they produce gets Retweeted a great deal. Together with this new study from Penn State, it suggests that we tend to like people on social networks who are well-known, well-established authorities on their subject in the “real world”. Such organisations or individuals rarely need to Retweet or share things because they are producing a considerable amount of original thinking themselves. However, what these authority people achieve is a considerable amount of sharing of their own, original material. And therein lies the subconscious clue we see when we look at someone’s Twitter account. If that account has lots of Retweets, then it suggests they are not producing much original material of their own. That implies that they are not an authority. If they were an authority, they would be creating a great deal of original material which other people would be Retweeting. Establish your brand offline; become well-known in the real world for what you do. Then people will believe your social media activity more. Avoid sharing too much from other people. The more you share, the less credible you become. If you want to be believed on social media, you need to be well-known in the real world. 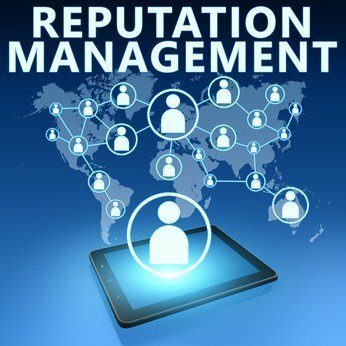 Nice Article and great tips.I liked the two points of how to enhance your social media reputation.Other than these I want to add some tips on my experience like by improving customer relationships,create brand Ambassadors.And Yes,As You said share articles of other resources from other people but in a limit. Thanks for your comment Richard. Yes, brand ambassadors are a good idea – by which I assume you mean people who champion your work using word of mouth amongst other things. Highly Reccomending this site to others. I have been online for about an hour now and am really enjoying it. Information like this needs to be shared. Thanks Cory. Good to hear you like the site. I appreciate it.